Awardees of the inaugural WE Empower U.N. SDG Challenge — a global business competition for female entrepreneurs who are advancing the United Nations Sustainable Development Goals — recenly spent several days in New York City for the U.N. Global Goals Week. The WE Empower Challenge was initiated by Amanda Ellis, executive director of Hawaii and Asia Pacific for the Julie Ann Wrigley Global Institute of Sustainability at Arizona State University. Ellis attended Global Goals Week with the five awardees, who represent each of the U.N. regions, as did ASU student Ember Van Vranken from the Sandra Day O'Connor College of Law, who helped screen the applicants and was randomly chosen to join the group in New York. During their time in New York, the awardees were featured at a high-level session at the U.N. General Assembly with the U.N. secretary-general, the president of the World Bank, five female presidents and the U.N. high commissioner for human rights. They participated in leadership trainings including blockchain and a number of networking opportunities, and had their work highlighted by the U.N. Foundation. Among their activities was a meeting with Lauren Gula, the U.N.'s senior manager of gender equality, to sign the Women's Empowerment Principles. The five entrepreneurs, chosen from 150 initial applicants, competed for a $20,000 grant. On Sept. 25, they pitched their innovative sustainable businesses — impacting everything from biodiversity to human trafficking — at an event hosted by fashion designer Diane von Furstenberg that brought together business leaders, celebrities and the media. Inspired by every pitch, Diane von Furstenberg made an on-the-spot decision to double the winning grant to $40,000 and award a $10,000 grant to every other participant. Habiba Ali from Nigeria walked away as this year’s winner after pitching her company Sosai, which brings renewable energy technologies to the most rural of users, improving access to clean, affordable energy and providing clean water and better health outcomes. In addition to their all-expense trip to New York, all five awardees received a Solar-Powered Educational Learning Library, known as a SolarSPELL, that they can implement in their remote communities to expand educational opportunities. SolarSPELL is an initiative founded and led by Laura Hosman, an assistant professor in the School for the Future of Innovation in Society and in The Polytechnic School. The five WE Empower Challenge awardees with partners from ASU and around the world on Pitch Night. ASU student Ember Van Vranken at a U.N. session with Michelle Bachelet, the U.N. high commissioner for human rights. Habiba Ali, the 2018 WE Empower Challenge grand prize winner, pitches her business Sosai. Three of the WE Empower Challenge awardees with Ember Van Vranken at a U.N. session. Celebrating the success of the WE Empower Challenge at ASU Wrigley Hall: (from left) Rimjhim Agarwal, Diana Bowman, Ember Van Vranken, Kristin Meraz, Amanda Ellis and Kristen Linzy. “It went better than we could’ve all hoped,” said Ellis at a celebration of the WE Empower Challenge, held Oct. 1 at Wrigley Hall on ASU’s Tempe campus. She emphasized the goals of the competition: to ignite change through partnerships, invest in female entrepreneurs so they can be role models in their communities and honor women who are supporting SDGs through their companies. “So often people see women as victims. We want people to really see them as the contributors that they are to local economies and to the SDG objectives — not as victims,” Ellis said. The inaugural WE Empower Challenge could not have been possible, Ellis said, without strong worldwide partnerships — including with the U.N., civil society and corporations such as Salesforce and Procter & Gamble — and hard work from many women at ASU, including Kristin Meraz, an administrative specialist in the ASU Wrigley Institute. Meraz was instrumental in setting up the platform that applicants used to submit their video pitches, fielding applicants’ technical questions and providing overall organizational support for the competition. “After seeing the applications come in — and I got to view some of the videos — it’s really amazing what these women are doing,” Meraz said. Robert Spring, professor of clarinet in the ASU School of Music, was recently awarded the Clarinet Lifetime Achievement award from the China Musicians Association clarinet society at the 2018 Yanji China International Clarinet Music Festival. As a founding member of the International Clarinet Association, Spring served as the association’s president from 1998 to 2000. 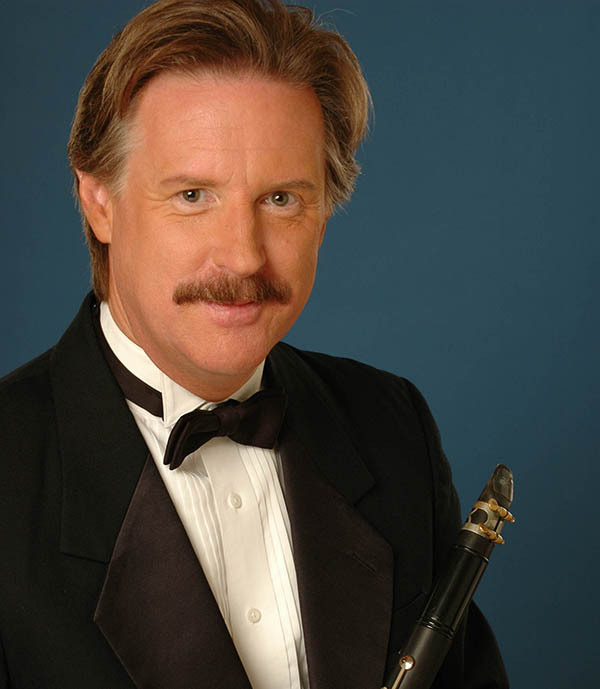 He has performed at numerous International Clarinet Association conventions and was the host and coordinator of the International Clarinet Association ClarinetFest held at Arizona State University in 1995. Spring was an invited featured performer at the International Clarinet Association ClarinetFest in Ostend, Belgium, on July 6-11, where he premiered a new work for clarinet and multimedia by Kotoka Suzuki, professor in the School of Music. This past summer, he was also a featured artist at the first Hainan International Clarinet Festival in Hainan, China, and a recitalist and guest professor at the Beijing Central Conservatory. Having traveled to China more than 18 times during his career, Spring has spent a considerable amount of time working with and teaching countless students. He has been awarded guest professorships at many of the conservatories in China, including the Beijing Central Conservatory of Music. Spring has performed as a recitalist or soloist with symphony orchestras and wind bands in the United States, Canada, Europe, Asia and South America. He has been on the faculty of several summer music festivals and has published numerous articles on multiple articulation and other contemporary clarinet techniques.